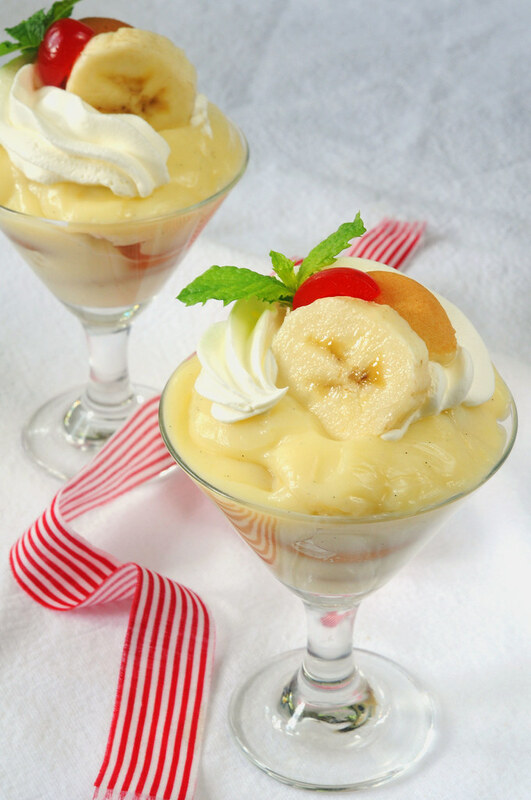 Want to know why Banana Pudding is so much easier to make in the Microwave? You’ve come to the right place. If you would prefer not to slave over a hot stove, dig out a double boiler, or worry about scorching, the microwave is your rescuer. The day I discovered I could make vanilla pudding in my microwave changed my life. No more scorched custard, hot stoves or instant pudding mix. 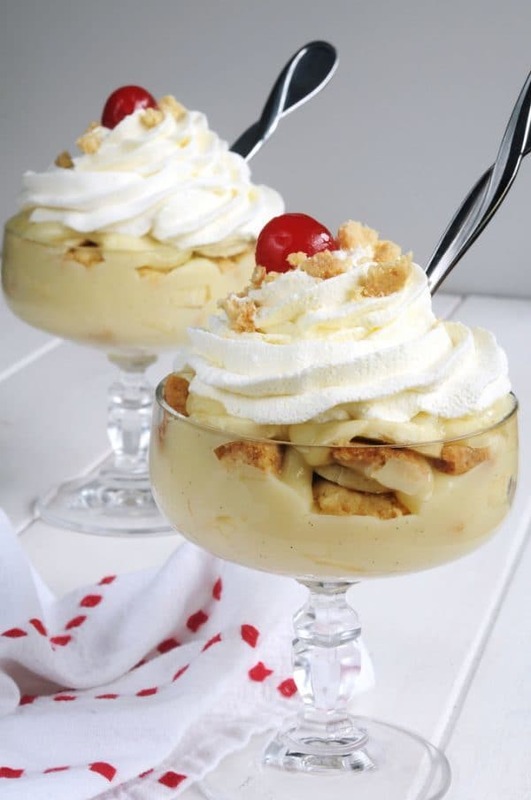 Banana pudding ranks high on my list of comfort food–something I’ve been needing lately. Some of you might remember my father (the one wearing a green sweater) who celebrated his 92nd birthday a couple weeks ago. He hasn’t been feeling well. Congestive heart failure seems to be getting the best of him these days. He recently gave me the key to his treasured Honda Civic with instructions to sell it. Although necessary, he said it would break his heart. It broke mine too– I cried all the way home. Today, I brought his computer to my house. He doesn’t need it. This man who has played online Scrabble for as many years as it has been available, has not turned on his computer for several weeks. Says he’s not likely to ever use it again. I cried all the way home, again! This recipe is so simple you can memorize it. For me, this is a huge plus when I don’t feel like cooking. 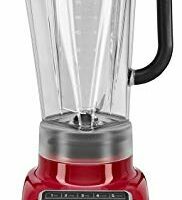 Throw all the ingredients into a blender or food processor and press GO. No more tempering the egg yolks. No more bothers about lumps. 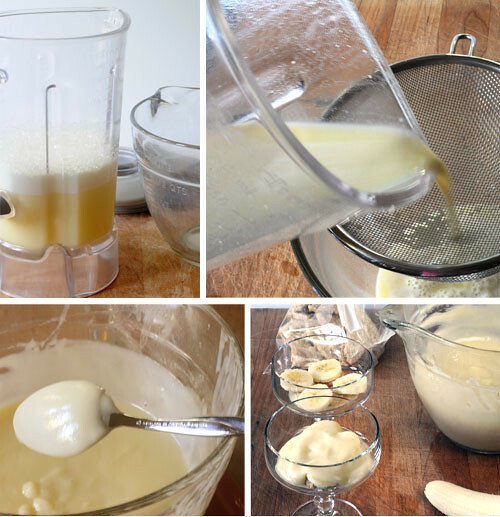 It will go into the microwave smooth and should come out smooth–as long as you don’t forget to give it the occasional whisking treatment. No worries about scorching and then having to scrub the pan. 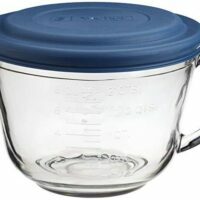 The blender and pyrex bowl you use in the microwave will clean up easily. The microwave reduces cooking time. My microwave is SLOW but 7 minutes is all the time required to thicken the pudding. If your oven is relatively new, the time may be less. Pay attention the first time or two you make the pudding to determine the proper cooking time. Store-bought vanilla wafers are my go-to cookie for this but sometimes I like to make my own shortbread crumbles for a dessert that tastes like banana cream pie in a bowl. Oh my! It is wicked good!! These instructions are designed to cook the vanilla custard in the microwave but of course, you can use your stove instead. 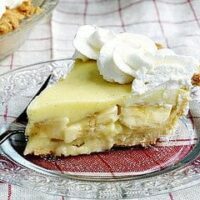 Layer pudding with bananas and vanilla wafers or shortbread crumbles. Add sugar, egg yolks, flour, milk and salt to a blender or food processor bowl. Pulse 5 times until mixed well. Pour into 2-quart batter bowl. If desired, pour through a strainer into batter bowl. Microwave on HIGH 4-5 minutes. Stop and whisk well. MW for 2-3 more minutes stopping and whisking when pudding starts to rise up in bowl or at least once a minute. When mixture thickens enough to coat a spoon (see picture), remove from microwave and whisk till smooth. Allow pudding to cool a bit before adding butter and vanilla. Whisk well. Place a sheet of plastic wrap on top of cream and allow to cool to room temperature. If you are in a hurry, set bowl in sink of ice water for faster cooling. Cover bottom of 1 1/2 quart dish with thin layer of custard. Add layer of vanilla wafers or shortbread followed by layer of sliced bananas. Add 1/2 of remaining custard, followed by another layer of vanilla wafers and bananas. End with a layer of custard. Cover with plastic wrap placed in a way that it touches the surface of the custard to prevent a skin from forming. Chill at least 2 hours. Overnight is even better--especially if using vanilla wafers. Serve with whipped cream. 1.If you decide to make your own shortbread, Let it cool, then crumble and layer in the same way as vanilla wafers. 2.Because I keep only skim milk and heavy cream in my fridge, I sometimes put 2 tablespoons of heavy cream in a 2-cup measure and use skim milk for the rest to make it a touch richer but it's certainly not necessary. 3.I don't normally use a sieve for this pudding because mixing in a blender before microwaving prevents lumps. However, if cream turns out a bit lumpy after it is cooked, push it through a coarse sieve before it cools. 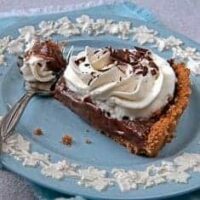 4.I also use this recipe to make banana cream pie, coconut cream pie and chocolate cream pie. 5.Many people put meringue on top of their banana pudding but I'm a whipped cream girl. Suit yourself. Made your pudding. It was so good!! Love the simpleness of the recipe as well. Thanks for a great recipe. No one would ever believe it was cooked in the microwave!! For a nice twist on traditional banana pudding, use ginger snaps instead of vanilla wafers. Alice, What a great idea! Thanks for sharing. lovely recipe paula!! It was made perfect. Where and what is the shortbread recipe called on your blog! That is a very good question. I usually make just the shortbread base for these toffee bars, then I break it into pieces. You are my hero…but if you think I’m capable of waiting 24 hours to eat this…. The pudding is in a sink full of ice water and I am standing over it with my spoon in hand. You provide very appetizing pictures. 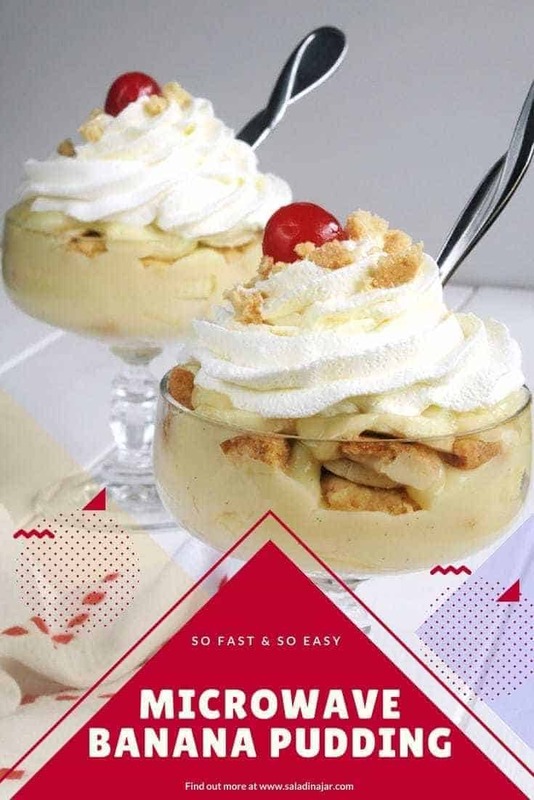 Thanks for sharing such detailed directions for the banana pudding. 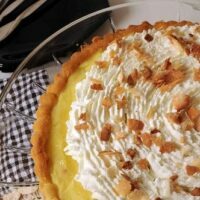 I just found your blog today and love your food photography. Beautiful and I love your focus on making unhealthy food healthy. I hope your time with your father is a good one. Treasure him as much as you can. I’m sorry your Dad is not doing well. That is so hard. I love the photos here and think the idea of a quick no cook pudding is brilliant! Catching up on my reading. Had not heard the computer transfer story. It is very sad and tough to deal with. I hope you can find comfort in knowing this is what he wants, but it is difficult to resign ourselves to that. I hope they make the 70th too! How awesome would that be!! Recipe looks great. I have no excuse for not cooking more since you make it look so easy with the microwave. Now, just need the time! You are always in my prayers!! 70? Now that IS an accomplishment. I’m right there with you in tears (all the way home). It is so thoughtful that he had the foresight to rid himself of the car (so many people have to yank it away from their parents)! 🙂 And so thoughtful to share another microwave recipe (LOVE your pastry cream – it has saved me)! Thoughts and prayers are with you and your family Paula! The food looks incredible, as always!! Aw-w-w-w. It’s sad, I know. And thanks for the compliment. Sometimes comfort food is one of the few comforts around, isn’t it? If you are needing another easy dessert, I suggest pudding and strawberry parfaits. Just cook up some Danish Dessert – close to the pudding section if you’re new to this gelatin dessert. Fold in sliced strawberries and layer it with instant cheesecake pudding. Top with whipped topping and a strawberry. It is so cool and yummy. Hope things improve for your father soon. It is hard to see parents not as functional as they once were. This is an important time for you to grab the moments and the memories. I am sorry about your Dad and I pray he has an easy time. Thanks to all of you for your kind sentiments. I agree that my dad is being very thoughtful to make sure all is in order when his time is up–especially since my mom is still living and even older than he is. She’s hopeful they can celebrate their 70th wedding anniversary this coming December. So hard to see our parents slowing down– your wonderful dad is giving you time to get used to the unthinkable…. Thanks so much for the recipe! Pudding is comfort food indeed, but I never seem to make it anymore–usually such an arduous process. I look forward to trying it this way! I’m SO sorry to hear about your father. It made my heart pout with sadness to read what you’re going through. I’ll keep him in my thoughts and prayers. Side note: love your blog! No matter our age,no matter that we know this day will come, it is painful to lose a parent. How wonderful that your Dad is helping you prepare for his death. Wish I was there to help you too. Absolutely gorgeous photos! Well done! 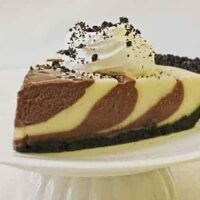 Was looking for a easy dessert, and this looks great! Sorry about your dad not feeling well – from the way you write he must be a special guy, and I can’t imagine how tough this is for you. Big hugs. Paula, I’m so sorry about your father. I hope things turn around. Thanks so much Christina. Hope you are doing better yourself. I’ve gotten several positive comments on my new pictures. Thanks again! On the upside, this recipe looks great.